Pruvit Review. Types of Products, How it works, Pros and cons. Does Pruvit Keto OS aid in weight loss? Probably. It contains Beta-Hydroxybutyrate, a ketone body that causes ketosis. 5. 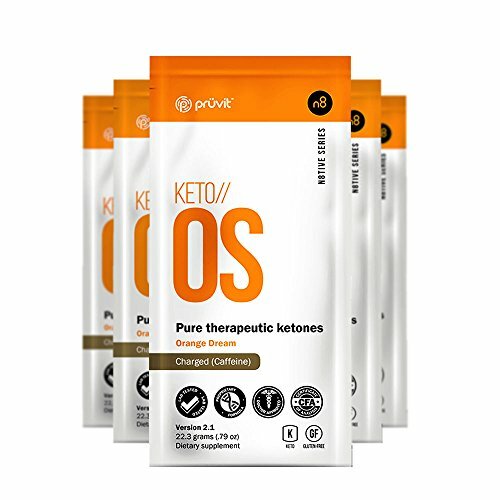 How Does the Pruvit Keto OS work? 7. Who can Take the Supplements? 8. Does Pruvit Keto OS work? 11. What Diet is Suitable? Did you know ketone supplements not only to mimic but also produce similar benefits as a ketogenic diet? Yes. Pruvit Keto OS supplements, the first of its kind, promises to increase energy, reduce appetite, and boost athletic performance. But, how do these keto supplements work? Let’s find out. Pruvit Keto OS (Ketone Operating System) is a weight-loss supplement that induces ketosis faster than a ketogenic diet. The supplements come as a powder and dissolvable on-the-go packets. To understand the science behind Pruvit, you got to know what ketosis and ketone bodies are and how they work. Ketone bodies are water-soluble molecules– acetoacetate, beta-hydroxybutyrate, and acetone, produced by converting fatty acids to provide energy. They are produced after starvation, prolonged fasting, or through a ketogenic diet. Ketone bodies are used as fuel when the blood glucose is unavailable for energy (1). 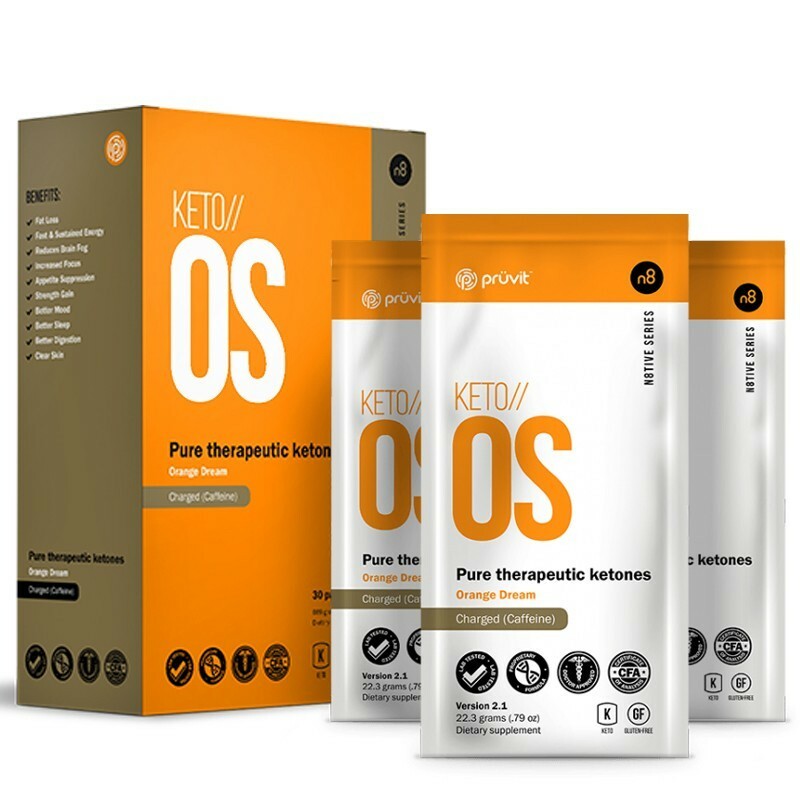 Ketone bodies are grouped into two: endogenous ketones made naturally by the liver through ketogenesis and exogenous ketones supplied to the body by supplements like Pruvit Keto OS or MAX. Exogenous ketones use beta-hydroxybutyrate as the source of ketone as it is used more efficiently by the body compared with the other two (2). Ketone salts are found mostly in supplements like the Pruvit Keto OS. These salts are bound to calcium, sodium, or potassium to increase their uptake. Ketone esters contain beta-hydroxybutyrate only, and they are typically used in research, meaning they are not available for consumption. Pruvit Ventures LLC, an MLM Company, is behind Pruvit Keto OS and other weight loss supplements. The Company first appeared online in 2013, with Keto OS as their first product. According to their website, these supplements are designed using an evidenced-based technology that helps to optimize health and human potential. Pruvit Ventures, based in Melissa, Texas, is a networking company, meaning it pays you to recruit someone in the business. To be an active distributor, you will need to buy the supplements which cost $ 80 per 25 sachets. Pruvit Ventures offers a variety of evidence-based products. Keto OS Max which supplies the body with macronutrients and boosts cell regeneration. These supplements contain R-Beta Hydroxybutyrate, L-taurine, Fermented L-Leucine and ac-11 along with 4 grams of sugar. Keto Kreme which supports brain function. Keto Reboot is a kit that resets metabolism by reprogramming genes to use fat as fuel. MTC contains coconut oil, Medium-Chain Triglycerides, and phosphatidylcholine which supports brain development and function (3). Keto OS contains Beta-Hydroxybutyrate as the main ingredient, minerals, and sweeteners. BHB, one of the three ketone bodies, is produced by the liver as a result of fasting, ketogenic diet, or exercise. And, it is the most efficient energy source. Furthermore, BHB helps in cognitive enhancement, reduction of anxiety and depression (4). Pruvit Keto OS contains L-Taurine, Tyrosine, L-arginine, and L-leucine. These amino acids do not have an impact on ketosis but, they support the body in other ways; blood sugar regulation, immune function, enhance mood and also regulates blood vessels (5). Stevia is a nonnutritive sweetener used a sugar substitute. Plus, it has no calories and is FDA approved for use. it is a sugar alcohol used and approved as a food additive in the United States. Pruvit Keto OS contains potassium, magnesium, calcium, and sodium that increase the uptake of the ketone bodies. According to Pruvit, Keto OS supplements help consumers to reach a state of ketosis within 60 minutes of taking them. These supplements are ideal for people who don’t like the ketogenic diet but desire to lose weight. Elevated ketone bodies, whether through ketogenic diet or exogenous supplements, can suppress appetite. Ketones impact the hypothalamus part of the brain responsible for regulating energy balance and food intake (6). Some studies have shown that exogenous ketone supplements can improve athletic performance. Additionally, they help with quick workout recovery by replenishing muscle glycogen. Take note; these supplements are not effective for people who participate in exercises like sprinting as they require short bursts of energy. Sprinting is anaerobic (without oxygen) exercise and the body needs oxygen to induce ketosis (7). Ketosis aids in weight loss, appetite control, and prevention of chronic diseases. However, achieving ketosis is a challenge for most people, and that is why you may need the supplements. Furthermore, MCT and BHB have shown effectiveness in raising ketone levels without a diet change. Ketone supplements are ideal for those following a ketogenic diet and are looking to induce ketosis quickly and athletes seeking for a performance boost. People with diabetes should avoid the supplements as they can trigger ketoacidosis. Yes, if they indeed cause ketosis. But, remember the results will differ based on your diet and exercise regimen. Moreover, there are also plenty of reviews on Amazon on the effectiveness of the supplements. As stated, ketosis can help with weight loss, boost workout performance, and suppress appetite. Although Keto OS is available in two flavors orange and chocolate, some people have complained about the taste, probably because of the ketone salts. Pruvit Keto OS is easy to take; mix one scoop with 12 to 16 Oz of water, shake well until smooth. Consume the mixture twice a day for optimal results. For optimal results, you will need to change your diet. Pruvit recommends a low-carb diet in addition to the ketone supplements. But, you may need a ketogenic diet at some point. Bad Breath. Elevated ketone levels can cause bad breath (8). Digestive issues. Exogenous supplements can cause stomach, diarrhea, gas, and pain. There are no lawsuits at the moment that negatively implicate Pruvit Ventures and its products. Pruvit Keto OS was the first of its kind, and it dominated the market for a while. But, now there are several products you can choose like Perfect Keto and KetoForce, which contain similar ingredients as Keto OS. You can also try the natural route; magnesium, MCT oil, Vitamin D, Omega 3 fatty acids, and digestive enzymes which are known to trigger ketosis (9). A few studies have reported that exogenous ketone supplements can cause ketosis, suppress appetite, and enhance athletic performance. Based on the given research, I would recommend Keto OS. But, the Pruvit Keto OS supplements are expensive, so you may want to opt for cheaper alternatives. Also, consider using a ketogenic diet, before you decide to use the supplements. You can buy Pruvit Keto OS supplements from official website or Amazon.